please forgive me for taking so long to thank you for the magnificent card and wonderful messages sent to William after he passed away. Also please forgive me for not writing a personal letter but I do not have a postal address for you. Please would you thank everyone who wrote messages for me. I was very touched and reading them again is a tremendous comfort. William was devoted to the Lancashire Fusiliers and always looked forward particularly to his trips to Bury with Chris Berry and John Steeds for Gallipoli. I also enjoyed coming with him although on the last occasion I was unable to accompany him. He had a most meaningful funeral service with his children and grandchildren taking part. 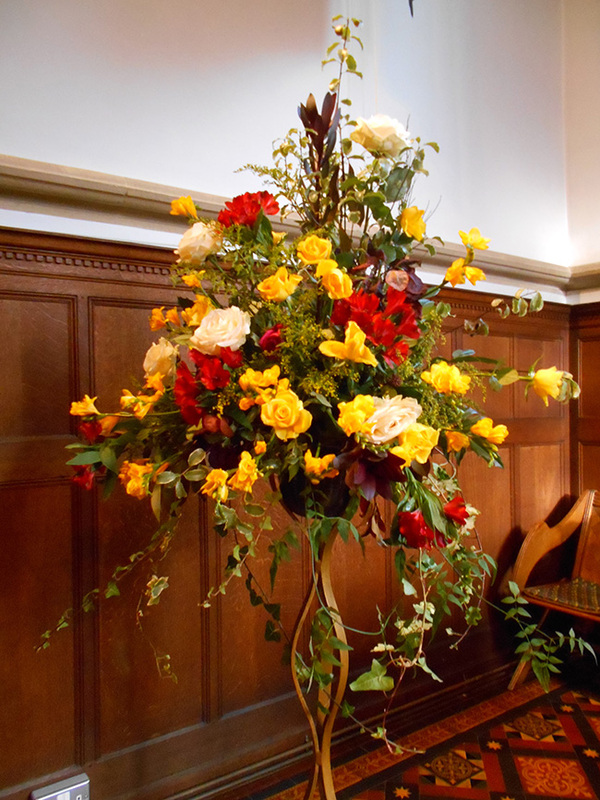 The coffin was draped in the Lancashire Fusilier flag and the flowers in the church matched the colours exactly. I will try to enclose a photo I took. I miss him more than I can say but with all the wonderful words and messages I Have received it helps me to come to terms with my great loss. It is true, he was a fine officer and a wonderful husband and father. We were married for 57 years and we as a family have so many wonderful memories of him. Thank you again, to all of you. I will continue to support the Lancashire Fusiliers in his name.